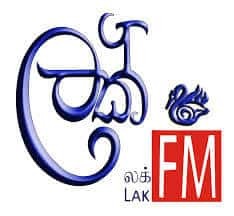 LAK FM Sri Lanka Radio Live Streaming Online . Lak FM online . Listen over 60 Sri Lanka FM Radio Stations live Streaming Online . Enjoy Live Stream of Srilanka Music News 24 by 7 Online . It was Launched on October 1, 2008 . Please Wait for 30 Seconds to listen this FM (Player loading may take 10 to 30 Seconds). FM will start playing automatically.All FM Radio Stations Play well in Google Chrome and Mozilla FireFox .Please install Adobe Flash player to listen this station . This is No 1 and only 100% truly Sinhala radio channel in Sri Lanka . It has already become the trendsetter in the Sinhalese Radio industry in short period . With unique style of best music blend of Best mix of 70’s, 80’s and today’s best and in Broadcasting News 24 by 7 . Disclaimer: None of the FM Radio stations in this Website are broadcasted by Us . We get the Latest Stream URLs and Update them with Proper Plugin and make them available for You . If any Vioaltion of CopyRIghts is noticed please Contact us by clicking the Contact Us button . We will remove the respective from Our Directory . Address : No 965, Bulugaha Junction, Wedamulla , Kelaniya , Colombo , Sri Lanka .